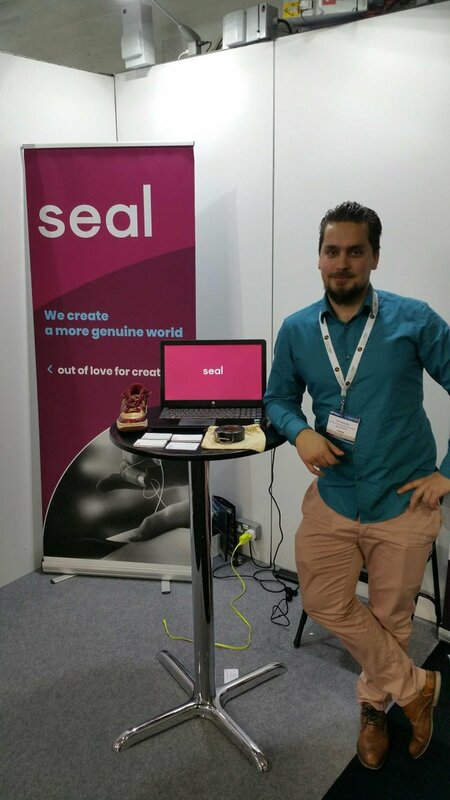 I thought it appropriate to try posting from eSteem while attending the rather bombastically named "Blockchain Global Expo" - co-hosted with the "AI Global Expo" and the "IoT Global Expo"
This was the first day - lots of people and my first impression is that in the real world (outside our "steam cookers " choke-full of crypto hotheads), "blockchain" is still a largely misunderstood technology and value proposition. 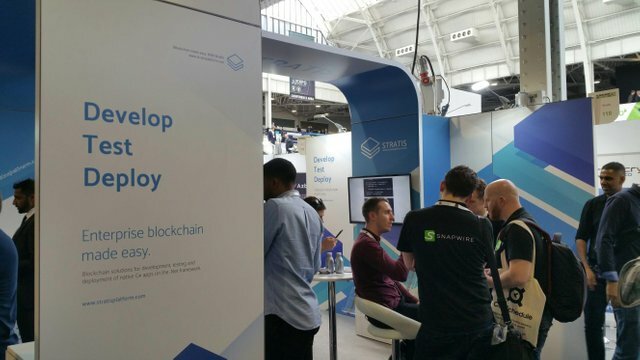 Consider this - probably the "highest profile" exhibitors from the blockchain world are Stratis. Their main selling point is that on the Stratis blockchain you can develop smart contracts using C# (and other .Net languages) instead of Solidity. Does that sound revolutionary to you? It sounds like tech people addressing the gripes of ... other tech people. One thing that I wanted to know, given the .Net - Microsoft connection, was whether they were incorporating one of the most interesting innovation in blockchain coming from MS, the "cryptlets". Turns out the guy from Stratis had not heard about them. An interesting presentation was given by a guy called Alex Mashinsky about yet-another-lending platform on blockchain, called Celsius. 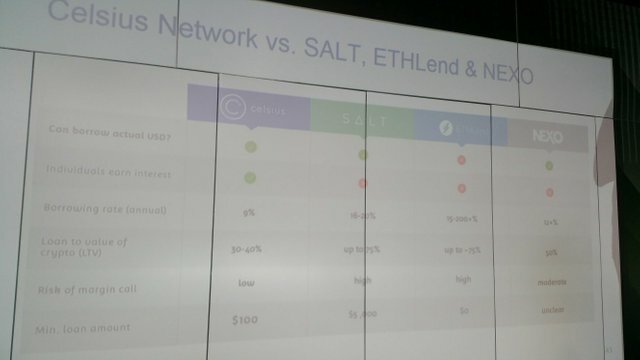 He admitted Celsius was not alone and presented a slide comparing it to better known SALT (SALT) and ETHLend (LEND). Of course Celsius was better in his slide but it wasn't clear what exactly prevented Salt and Ethlend from copying the features that Alex thought were making Celsius a better proposition. the crypto world is still very small (about 50 million people). We need projects that help more people (the other 7 billion) cross "the chasm" and adopt crypto. I believe Steemit is precisely such a project ! there are a lot of projects that have added "blockchain" because of the hype but which do not really belong to the new economic paradigm that blockchain opens. Either they do not need decentralization or they do not need token-based incentives. He had a good Venn diagram that blockchain projects might want to use in order to check they fall in the middle where the 3 circles overlap (what he called "the Bull's eye". They said they are going to share those slides, if they send them over I'll update the post. However I am primarily interested in technology and I hoped to learn more about where Steemit.Inc is in developing the SMT hard fork. 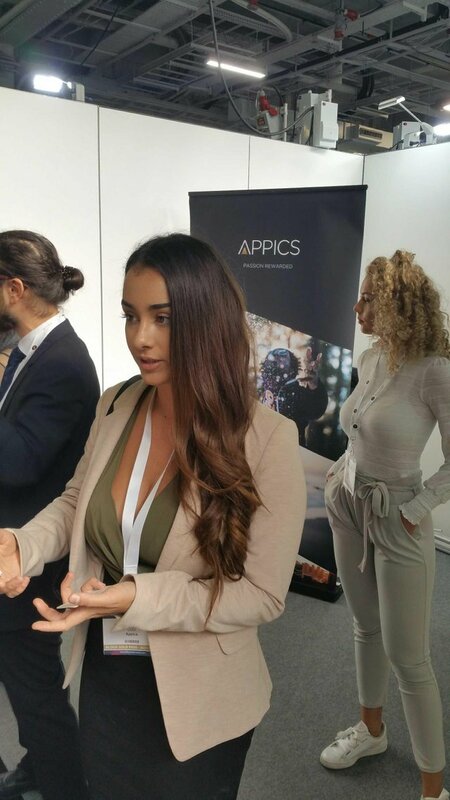 Turns out the Appics booth was primarily about promoting the on-going ICO so I didn't learn much about how @theoretical and @ned are advancing on SMT. They combine IoT and blockchain by having a NFC chip attaching a unique ID to high-value luxury goods (such as a Louis Vuitton belt or a high-end Nike sneaker you see in the picture above). If they manage to have one of these brands openly commit to embedding the Seal chip in ALL their products (from a certain line) then you can imagine customs officers at the Paris "Charles de Gaulle" airport using a mobile app to scan say Louis Vuitton belts in the luggage of travellers inbound from, say Shanghai and detect those attempting to introduce fake, counterfeit Louis Vuitton products in Europe. I was pleasantly surprised by the presentation given by a representative from BP (the oil and gas giant). 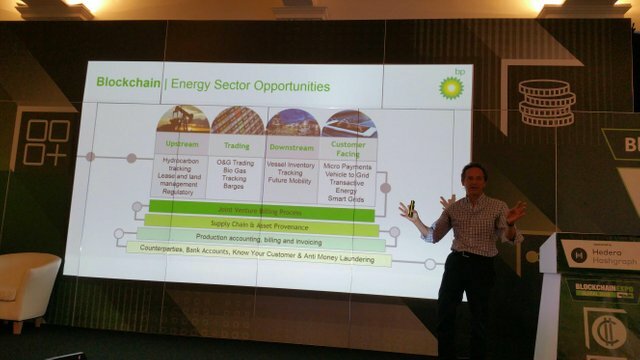 BP seems to have put some brainy people in the right positions where they can think about the areas where blockchain might impact the BP business areas. No worries, Blockchain technology is going smoothly straight ahead 😀. I kinda like the video but the Everipedia guy sounds seriously mistaken. No, competition in articles about facts is not going to bring up "the best" article but rather the bigger bullies with the louder voice and the biggest determination to see "their version of the truth" prevail. Most blockchain projects i've seen use either Ethereum (a majority) or the bitcoin blockchain. Some are probably using Fabric. Haven't heard of any blockchain project that prides itself on using a specific blockchain technology, that is more advanced than the previous generation of platforms (as is the case for steem). As you said, the crypto world is still small. Most of the people who transact crypto doesn't really understand what makes it work. I see every day posts about Bitcoin not having an intrinsic value(like gold), because they can't see over the coin 😆. What I tried to point out is that the Blockchain technology is getting popularised, and it's happening at an increasing speed ( Moore's law). Talking about different Blockchains, even Steem is not the best yet. There are so many others to come, but nothing happens overnight 😀. I am looking with interest at EOS in this moment, not because I understand what it's doing 😅, but because of the people behind the project. Recently I realized Bitcoin has acquired another economic value: it is the best vehicle to access the "blockchain" ecosystem and its cryprocurrencies and tokens. It offers the most liquid gateways from fiat into and out of crypto, it acts as a currency of the "Cryptoland"
I never thought about that, but it's true . In my view, the value brought by Bitcoin is that of converting the renewable energy in decentralised, middle man free, monetary transactions. I was thinking at the second part of this article. This is what I expected from the presentation at first but I was pleasantly surprised (and I can't say the same of most other talks). 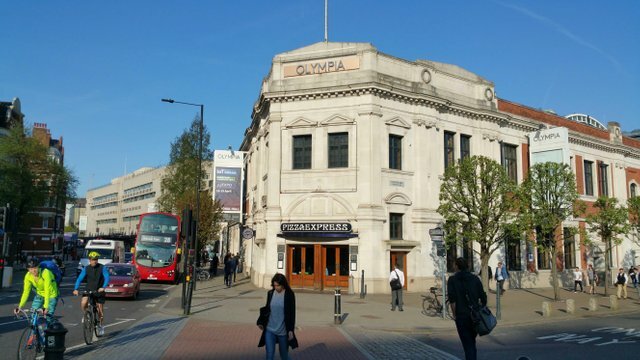 The guy who spoke seemed to have a good grasp of what a blockchain system could bring to corporate in terms of "tripartite trust and consensus building" / auditing etc. At the other end was a speech from the second day, from the Swedish land registry where basically the take away was "If you don't need blockchain because you already have institutional, fiat trust, then you can indeed replace an RDBMS with an otherwise inferior data storage technology that people have taken to calling blockchain"
Nice photos, thanks a lot for the inside view @sorin.cristescu!!! "Wolf to guard the sheep", now that's funny! Looks like an exiting event glad you got there so you could share! Sorry, not interested at this moment, @cryptostyle. If and when I'll look for this kind of deal I might contact you. Thank you for your understanding. Hi @sorin.cristescu! Sorry for messing around in your post. I just wanted to advertise my voting service @tipU which you might be interested investing in. @tipU pays out 100% of profit and extra 50% of curation rewards to all SP delegators and investors. Hi @sorin.cristescu! You have received 0.1 SBD @tipU upvote from @cardboard ! @tipU pays 100% profit + 50% curation rewards to all investors and allows to automatically reinvest selected part of the payout.